Health care costs continued to surge this year as family premiums in employer-sponsored plans jumped 11.2 percent, the fourth year of double-digit growth, according to a new study. The cumulative effect of rising health care costs is taking a toll on workers: There are at least 5 million fewer jobs providing health insurance in 2004 than in 2001, according to the survey of 3,017 employers by the Kaiser Family Foundation and the Health Research and Educational Trust. This year, 63 percent of employers offered health benefits to workers, down from 68 percent in 2001. The change is primarily driven by a decrease in the number of small employers, those with 3 to 199 workers, that offer coverage. The average premium for a family of four grew to $9,950 annually. The family premium for a preferred provider organization, the most common type of insurance, hit $10,217 — the first time it broke $10,000. PPOs are plans that provide members with a network of discounted providers that charge a copayment but also allows for the use of other doctors and hospitals. Employers with three to 24 workers reported the biggest hike in the average family premium, 13.6 percent. 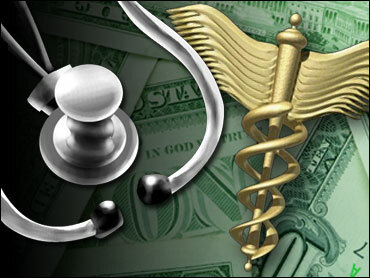 "Health insurance is becoming unaffordable, especially for small employers. We should expect the ranks of uninsured to grow as small employers can't afford health insurance," said Drew Altman, president of the Kaiser Family Foundation. Altman noted that the hike in health premiums outpaced both the 2.2 percent growth in wages and 2.3 percent growth in inflation by five times. "There is a great sense that there is just no answer to this problem," Altman added. The average premium for single coverage rose 9.2 percent to $3,383 annually. The percentage employees paid toward the premiums remained steady with singles picking up 16 percent of the tab, the same as in 2003. Employees paid 28 percent of the family premium, up from 27 percent last year. However, singles' out of pocket costs for the premium rose 9.8 percent to $558 annually while a worker's cost for family premium rose 10.3 percent to $2,661. Since 2001, employee contributions increased 57 percent for single coverage and 49 percent for family coverage. This year's increase in family premiums was below the 13.9 percent reported in 2003, and shifting costs to employees was less pronounced than in previous years, but Altman said such figures didn't signal any significant changes in the direction of health care costs. He said the increase was lower because health plans were paying less for hospital care, doctors and some drugs while cost shifting has moderated somewhat because employers wanted to give their workers a break after years of demanding they pay more for their care. For example, the average deductible for a preferred provider organization rose 4.3 percent to $387 for a family of four. But in 2003 the deductible rose 9.5 percent, after a 43 percent surge in 2002. Deductibles for using a provider outside the PPO were essentially flat at $558 this year after soaring 20 percent in 2003. Still, some types of cost sharing did increase. For example, the proportion of workers facing a $20 copayment for an office visit increased to 27 percent from 19 percent in 2003. The Kaiser Family Foundation is private, nonprofit organization that provides information and analysis on health care issues. Health Research and Educational Trust is a private, nonprofit group involved in research, education and demonstration projects addressing health care and policy issues.